The new automatic wire stripper/cutter from Draper Tools is designed to be an expert quality automatic wire stripper/cutter for flat and round cables. Manufactured from reinforced fibreglass plastic, the wire stripper/cutter is aimed at being both durable and lightweight. It strips two or three core flat cables from 0.75mm² to 4.0mm² and is also suitable for stripping round cable from 0.5mm² up to 10mm². 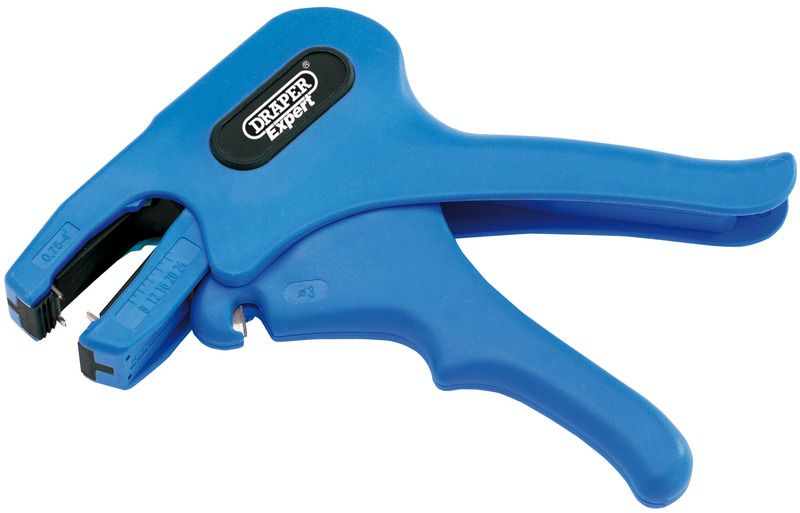 The lower handle incorporates a cable cutter with a cutting capacity up to 3mm diameter. This device makes a practical addition to an electrician’s tool kit and is part of the wide range of specialist electricians’ tools and essential items available from Draper Tools.